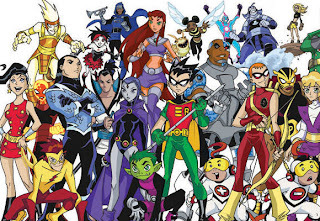 Last post, I started out my “superhero studies” with a look at my personal top 10 favorite superhero RPG products. However, there’s much more to the superhero RPG genre that just the ones I mentioned as being my top picks. In fact, it was quite a struggle during the selection process because there were so many good products out there. This time around, I wanted to take a good look at some of the very notable superhero RPG products that, while they may not be in my top 10, are still definitely worth a look. I don’t really plan on going quite as in-depth with these products as the top ten list, but I am going to present a good capsule summary of why they’re worth your precious time and money. 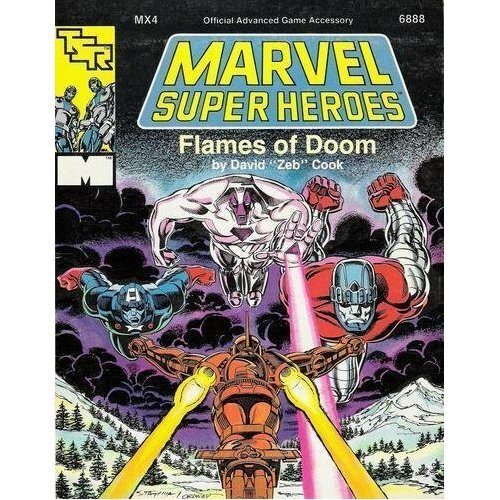 Just as with the last post, these products are my personal picks for good books that would be of value to most superhero GM’s, but I’m not trying to claim they would be great for everyone and every campaign. Unlike last time, these products are primarily sourcebooks, but I am also including a series of adventures into the mix as well. Wait, what? Only one Champions product on the list? Heresy! Check out the entries after the jump! We’re sending someone in to negotiate! Just like the #10 spot in part 1 of Superhero Studies, it’s difficult to fill the last slot in a list when there’s so many deserving candidates. In the end, I decided to go with one of the more obscure superhero books and give it some much-deserved attention: GURPS International Super Teams (or IST). 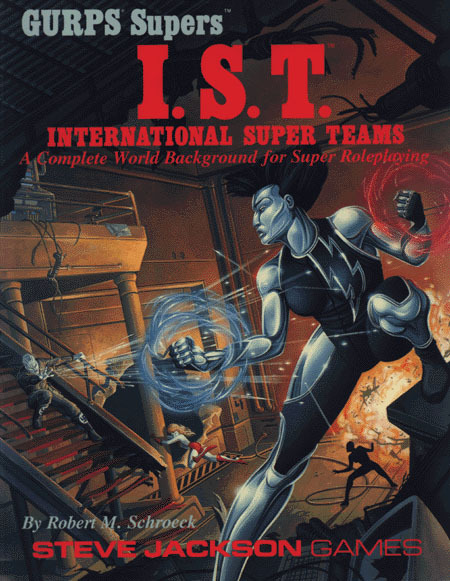 GURPS IST takes an unusual look at a superhero universe, attempting for a modicum of socio-political “realism.” Superheroes are organized into International Security Teams working for the United Nations, so there’s definitely a globalistic viewpoint at work. Some of the threats and challenges that IST’s are expected to overcome include not only nuclear proliferation (this book was published during the Cold War) and supervillains (of course) but also more real-world issues like hunger, warlords, and life in third-world countries. The book details some interesting organizations outside of the IST and presents a different version of the world as we know it—a world changed by the presence of organized superheroes. One of the things that I think it is really cool is the way the book presents the idea that the player characters make up one of these IST’s—complete with a support structure in place (including a PR guy!) and a handy way for the GM to steer the campaign by presenting issues handed down from the UN Security Council. GURPS IST has some serious flaws that, unfortunately, keep it from being a great product. For example, the emphasis on alien races as part of the setting detracts from the focus on realism and real-world issues, and some of the NPC’s suffer by being either too involved (i.e., not leaving enough room for the player characters to be protagonists) or bland. However, GURPS IST is definitely an interesting and unusual take on superheroes and their role in the campaign. 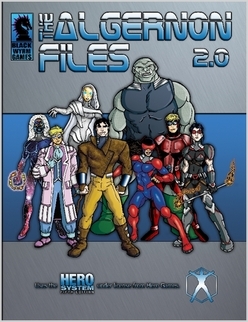 There is a set of books containing superheroes and supervillains from Blackwyrm Games known as the Algernon Files. Full disclosure: many of the people who worked on these books are friends of mine and were in my gaming group when I lived in Louisville, so there’s definitely a bias present. For that reason, I’ll keep this summary extremely short: These books have a lot of great characters, unusual NPC’s, and good comic-book art—Derrick Thomas’ art really helps bring these books to life. Some flaws hold these books back from being as useful as they otherwise could have been (for example, too great a focus on the pre-existing superheroes of the setting), but they’re a solid addition to any superhero GM’s bookshelf. Nobody conquers the Earth but ME! This next entry presents a unique and distinctive concept for superheroic RPGs—what if all the heroes died fighting an alien invasion, and the only ones left to defend the Earth are the supervillains? Welcome to Necessary Evil. The concept alone should sell this book, but to keep this one short and sweet I’ll just briefly go over some of its strengths: The idea is well-presented throughout the book and the history of just how things got to be the way they are hang together. If you’re looking for an interesting take on superheroic (with the “hero” part being a bit…different), definitely check out Necessary Evil. Special delivery: one Sentinel Trio! Ah, good ol’ TSR’s Marvel Super Heroes RPG. 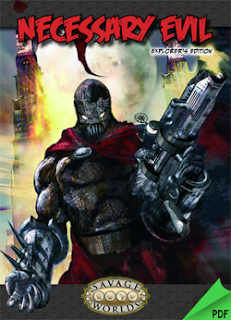 I have so many great memories of this game—It’s very likely that I’ll do a full review of this sometime or at the very least cover it more in-depth along with other superhero RPG systems. During its run, the TSR MSH game (also known as FASERIP to its many fans, an acronym referring to the character’s abilities in the game) produced a ton of adventures. The most memorable of which, for me, was the MX series that dealt with a classic X-men storyline “Days of Future Past.” This storyline presented an alternate future where mutants like the X-men were hunted down by a facist regime employing tame mutants, Sentinel robots, and grim federal agencies. 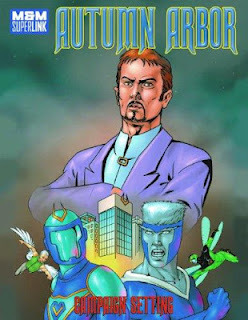 The MX series of adventures (or, as I like to call them, the “Future in Flames” series) takes another look at this alternate future and presents a series of compelling adventures for superheroes dealing with the particular challenges of such a future. The MX series involved some very talented writers and presented some gripping action scenes, but for me, the most interesting part about them is how the adventures took a very cool comic book storyline and turned it into something that you, as a player, could get involved with and change for the better. I never felt more like a hero than when I was trying to help mutants escape their concentration camps! These adventures are fairly rare and hard-to-find these days, but I highly recommend them for any superhero GM who wants to try and experience some classic X-men action. Do they go to school in a… castle? Color me confused. Hero High is an excellent sourcebook by Lucien Soulban for the Mutans & Masterminds game. Don’t let the disappointing cover art scare you away—the material in this book is very, very good. Hero High is a great toolbox for young superhero games. It contains a school setting, villains, adventures, and (my personal favorite) a ton of advice on how to get the themes and experiences of high school across in a superhero RPG. Hero High is definitely the best (IMHO) product to attempt this particular genre, and I highly recommend that any GM looking to set his game in or around a high school should check it out! 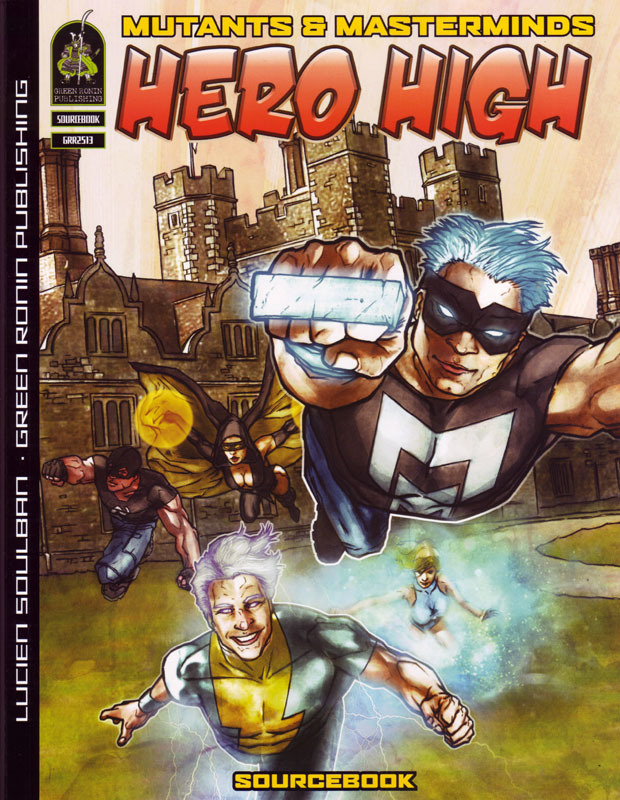 Hero High is yet another of the growing number of supplements that really deserves a thorough review here in the future. Blue guys, green guys… I’m the one ruling the city. Lee Szczepanik created this setting book based on his own campaign, and it is quite impressive. Autumn Arbor is chock-full of passion for the superhero genre, and every page showcases some of Lee’s excitement and enthusiasm. There are a few gaffes in the writing (one in particular, also mentioned in the review linked below, attempts to provide a rationalization for the Japanese-American internment in WWII, which definitely was a misstep), but overall the book has a fresh and distinct view of a typical superhero city setting. The book has some surprisingly high production values, and there are some really interesting and different superhero/supervillain teams presented in the book. A couple of my favorites include the Vignette Gang, composed entirely of superheroes with art-related powers and the Daring Dynasty, a somewhat-dysfunctional family of superheroes. While Autum Arbor doesn’t quite hit on all cylinders like Century Station or San Angelo, it is absolutely worth your time to check out, and it has a particular style and attitude all its own. Lee definitely has a distinct look at the superhero genre and I think there’s a lot of value to be found to Autumn Arbor. I like it! Some stuff I haven’t picked up because I just don’t have the cash to collect ’em all. Not really into GURPS for supers, but M&M does interest me. Wow, not one of those seems very interesting to me. Diff’rent strokes. I have IST only because when I was learning GURPS I found the write-ups useful for helping me understand how to make a character. You’re definitely right about the mistake of including alien races.